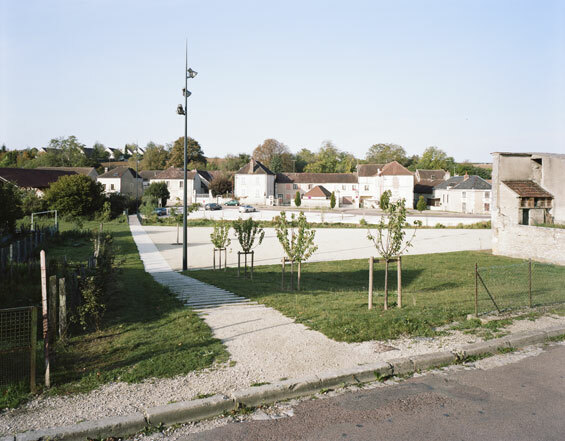 In this village of Burgundy crossed by a main heavy trafficked road, the sidewalks were the unique public space. Moreover this main road separated the village in two parts. The aim of the project was to break the ascendancy of this main road. 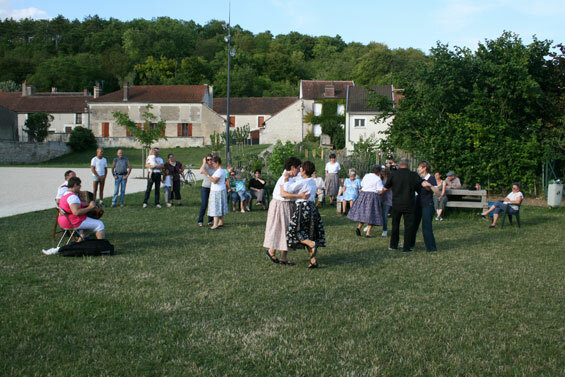 Every city, even a village, should have a common public space to inhabitants and outer people. By studying the territory and geography of the village, enabled us to understand the logic of the urban settlement. 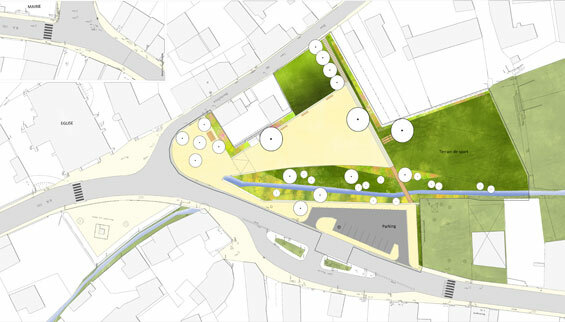 In order to represent the founding element of the village, the design uses the ‘ru de Vallan’ river as the focus point of the new public open space. A new riverbed has been created so that the new course of the river crosses the created plaza in its middle. The generous new mineral plaza minimizes the main road predominance in the village and its design forges a new relationship between the urban environment and its natural site. The banks of the river are remodelled with soft slopes, so the water can be seen and accessible. The banks, once steriles, are covered with willows, wild vegetation and green beaches of grass. This project not only helped rescue a deteriorated area, it also gave the village its main public space and provided its inhabitants with the opportunity to enjoy the river landscape. A new pedestrian wooden bridge creates a connection between the two parts of the village. This bridge emphasizes the presence of the river in this new open public space. 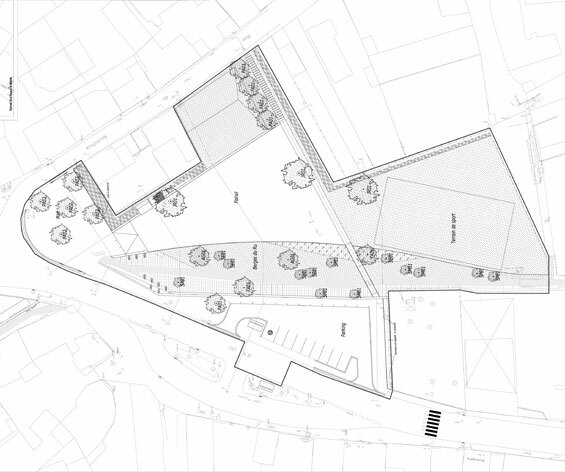 The project of the ‘foirail’ perpetuates the spirits of the former allotments, by a dedicated choice of vegetation: red currant, lilac, hazel… The project also proposes the planting of cherry trees on public space. Indeed, cherries orchards are an emblematic pattern of the landscape of Gy-l’Evêque, but the survival of theses orchards is uncertain for profitability reasons. Bus stop, tables and benches have been designed specially for this project. They are all designed on the same system of crossed wood boards. The site being close to the forests of Morvan, all this elements are made of local oak wood. The project won a Urban Design Award in 2011 for Cities and towns with less than 10 000 inhabitants.